Reminder/ Caveat/ Disclaimer: This is my (hopefully) monthly list of books I’ve read and enjoyed. These are not reviews, I do not include books I didn’t enjoy because life is too short to speak badly of books! Welcome to the Best Books to Read Now Book Club! My (hopefully) monthly blog featuring my reading list, my TBR pile and the books I think you and your best friends should be reading. If you’re not sure whether you’ll agree with my recommendations, check out my blog post on My Reader Wheels and my podcast, Women With Books . Those should help you decide if you’re going to be into my recommendations. The best book club recommendations for you and your friends! I just realized that all four of these books are (mostly) historical fiction. Huh. Weird how the subconscious book picker works, right? Let’s see what I read this month! Do you love historical romance? Do you love a marriage of convenience, sharp characters, smart, funny banter and sobbing your guts out at the end of a book? If yes, then you absolutely have to read this DEBUT book from Mia Vincy. You won’t believe it’s her first novel. This book is everywhere so I’m not the only one shouting about it from the rooftops but I cannot stop thinking about this book. I got an ARC and I’ve been harassing everyone on social media who has a copy because I NEED TO TALK ABOUT THIS BOOK. Get it, read it and then let’s chat. I first read this book… a long time ago. Let’s just say I was in my formative years. I’m sure I re-read it several times, each time swept away by this multi-generational family saga. Recently, the author, Rosamunde Pilcher, passed away and when I heard the news, I immediately went to Amazon and picked up the digital copy of this book because I’m sure the paperback version in my family was falling apart. Sometimes these types of books don’t age well but I can report that The Shell Seekers still is a wonderful read, and if it were repackaged as the WWII books are today, with ladies in hats looking up at the spitfires in the sky, it would fit right in. If you’re loving the recent trend in historical fiction, do yourself a favor and pick this one up again - or for the first time. Speaking of women in 1940’s clothing looking up at the sky (LOL at myself), I LOVED this book, the second historical fiction novel by Sara Ackerman. It’s the story of Pearl Harbor, seen through the eyes of a recent arrival to Hawaii and yes, I was SO WORRIED about what was going to happen! If you want to hear all the details about this book, check out my Women With Books podcast episode with Sara Ackerman here. And yes, there were some books I did not love this month…. I’ll be talking more about those and why I think they didn’t connect with me in my newsletter this month. Do you like books on sale? Make sure you’re following me on Facebook because that’s where I post great books on sale! I’d love to hear what you’ve read and loved lately or what you’re looking forward to reading next! 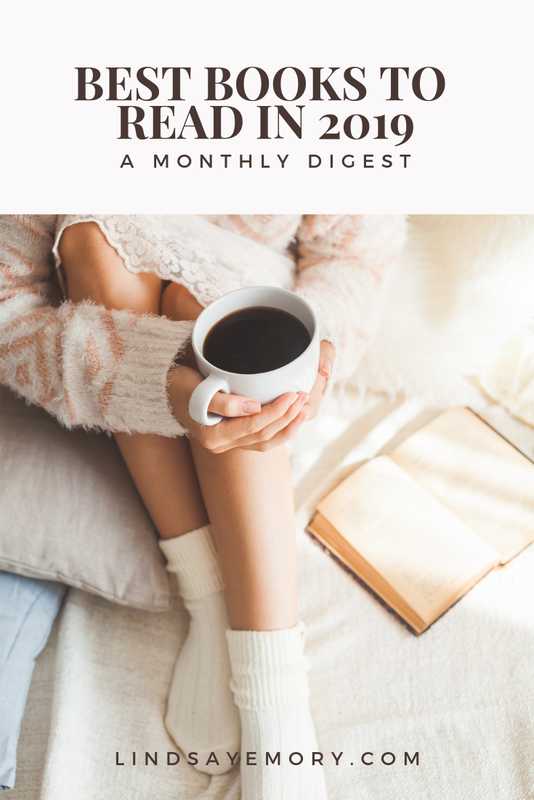 If you want these book recommendations (and a sneak peek at my TBR list and advanced reading copies) sent straight to your inbox, remember to sign up for my newsletter where I’ll be including all the best book club recommendations throughout 2019!